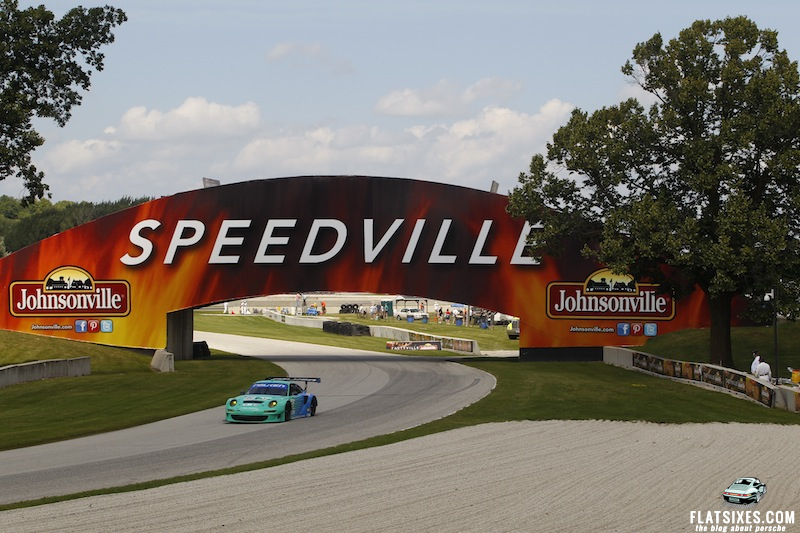 The Porsche 911 GT3 R/RS/RSR family has had a great finishing record at Road America, winning seven out of eight GT victories between 2003 and 2008, so it seemed fitting that the current version of that race car had its best showing of the season at the most American Le Mans Series race – the Orion Energy Systems 245 at Road America today. 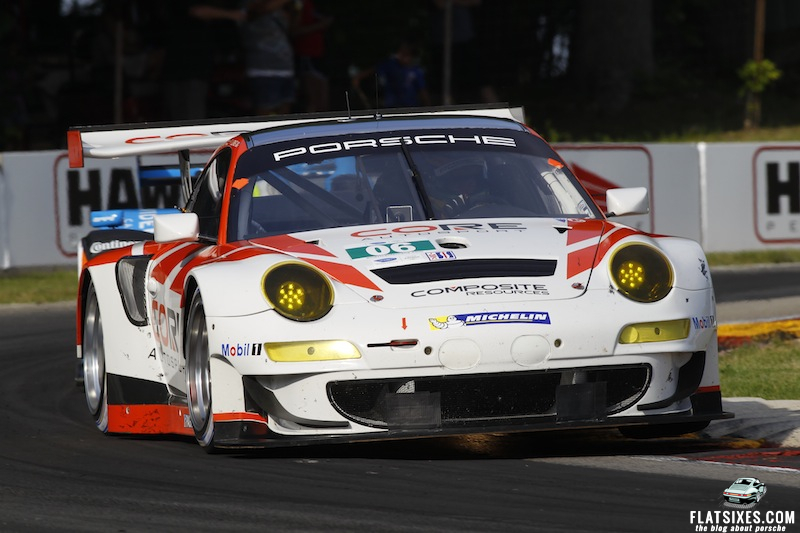 Marco Holzer (Germany) and Bryce Miller (Summit, NJ) finished fourth in their Paul Miller Racing Porsche 911 GT3 RSR, finishing less than a second off the podium and competing for a top three finish all day. In fact, if the caution flag with nine minutes to go hadn’t caused the race to finish under yellow, Holzer/Miller might have had a chance to finish as high as second if the teams in front of them had to pit for fuel at the end. But even the Paul Miller crew was worried about fuel. “You have to find out for yourself where you can save fuel. I think the strategists and all the guys behind the computers did an awesome job advising me. That was key for the results. In the end, you can be smart, or even with the yellow flag at the end, you can run out of fuel. 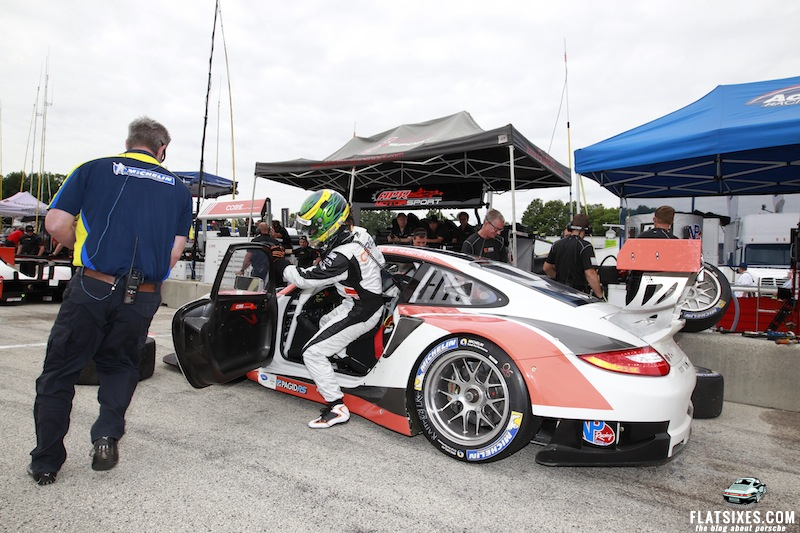 It’s a special result today, and now we want the podium,” said Holzer, the youngest of the Porsche factory drivers. 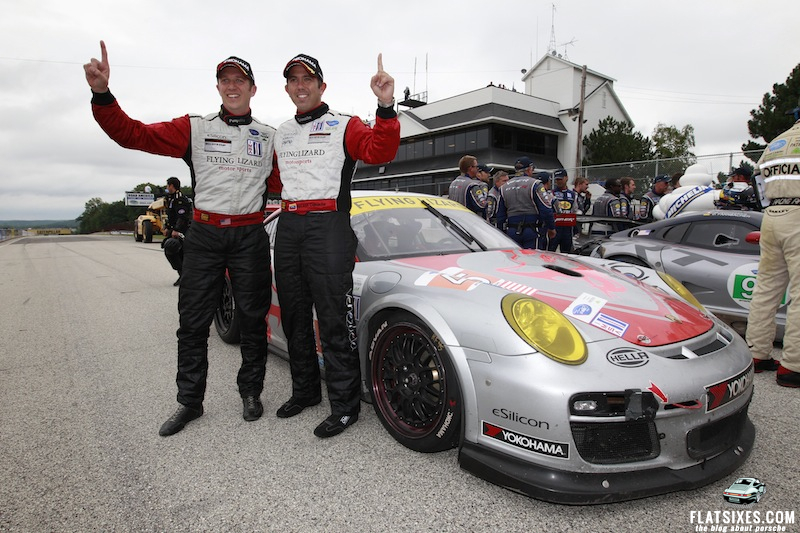 Right behind them, and ahead of a Viper and both factory BMWs, was the CORE autosport Porsche 911 GT3 RSR of Tom Kimber-Smith (England) and Patrick Long (Playa del Rey, Calif.), finishing fifth. Long was hoping for a podium finish as well if the two Corvettes in second and third had to come in for fuel under green in the end. "We had a green flag stop, so I just put my head down and hoped for a yellow because we were pretty far behind. Once we got a yellow, the guys put in a great pit stop. The car was really balanced and we were able to fight past both BMWs and the Ferrari. It was tight racing; we were battling with the No. 48 and keeping the Corvettes honest. The Vipers had a measure on everybody today. It’s solid to get a top-five on a day that started out pretty rough. It was an ambitious fight from everybody,” said Long. 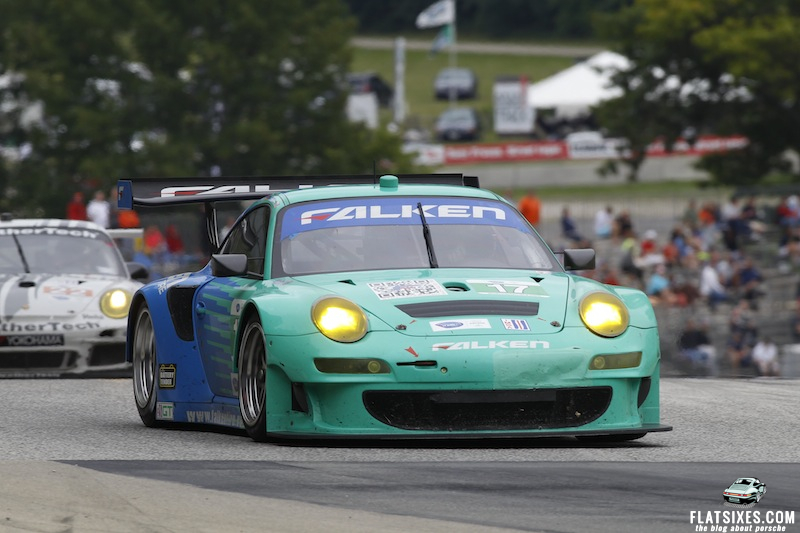 The Team Falken Tire Porsche 911 GT3 RSR also had a strong run with Wolf Henzler (Germany) and Bryan Sellers (Atlanta), leading the race at the 41-minute mark as Sellers excelled in the rain. Although the team finished in ninth position, they were also on the lead lap, showing the competitiveness of the GT class. 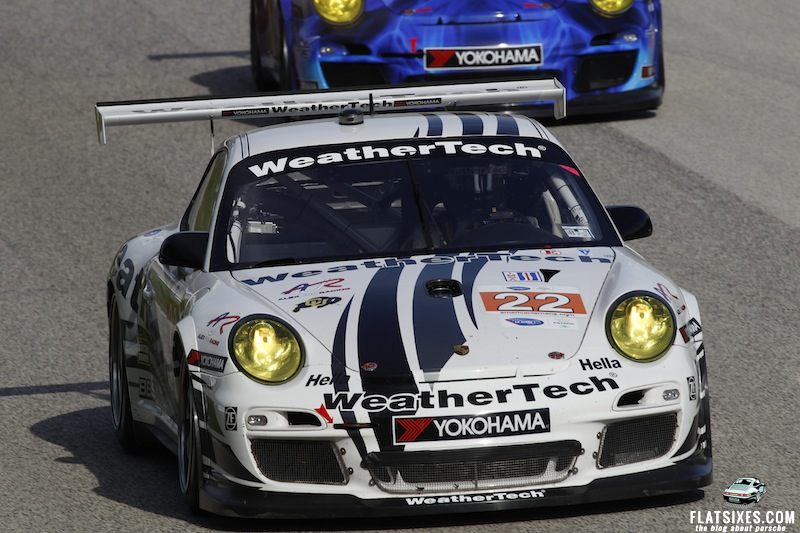 “The Falken Tire Porsche was much better today in the race than it was in practice or in warm up. Obviously, we still needed to get faster. We still couldn’t follow the other cars in our class. When I got in the car we made a change, because Bryan had so much under-steer during his stint. It helped to put the car in a better balance. The tires held on very well, but the whole package needs to be faster. I was only a few tenths away from my fastest lap time at the end of the stint. I think that’s a step forward for us. 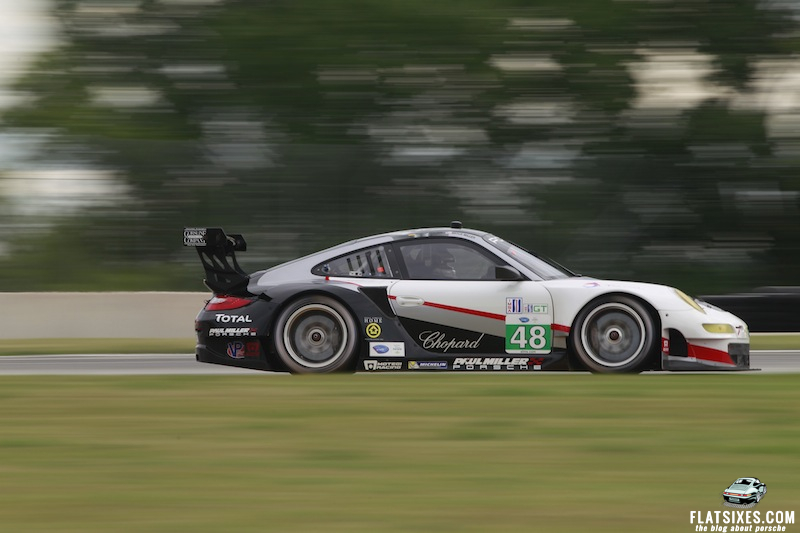 We just have to work on overall better grip so that we can stay with the other cars in our class,” said Henzler, also a Porsche factory driver. In GTC, where the season points championship battle is very tight, the Flying Lizard Motorsports Porsche 911 GT3 Cup team scored its second win in three races which puts drivers Nelson Canache, Jr. (Venezuela) and Spencer Pumpelly (Atlanta) ahead by four points over the Alex Job Racing Porsche drivers Jeroen Bleekemolen and Cooper MacNeil, who finished second. 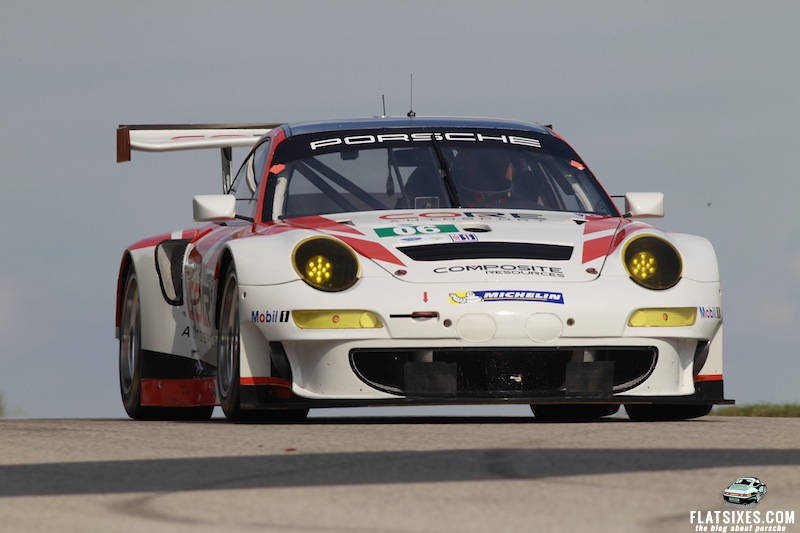 The Henrique Cisneros/Sean Edwards NGT Porsche was third, and Cisneros is now third in the points. 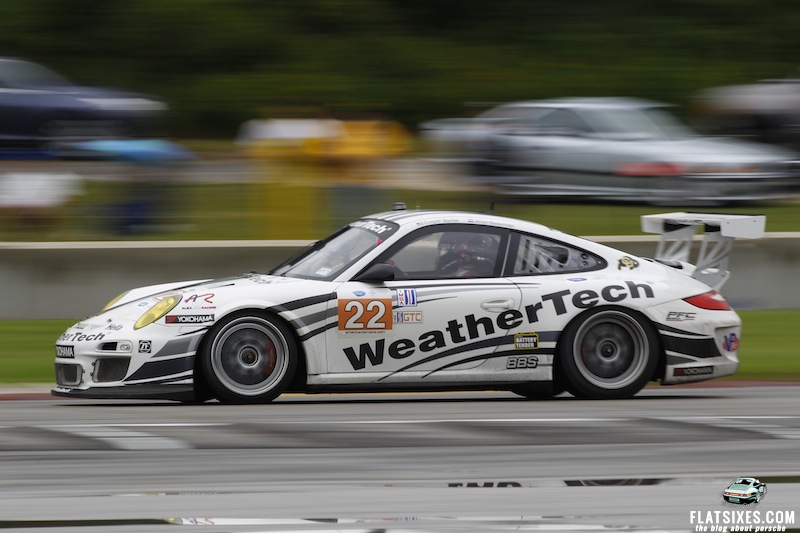 The Andy Lally/Patrick Dempsey Porsche of Dempsey Del Piero Racing was fourth. 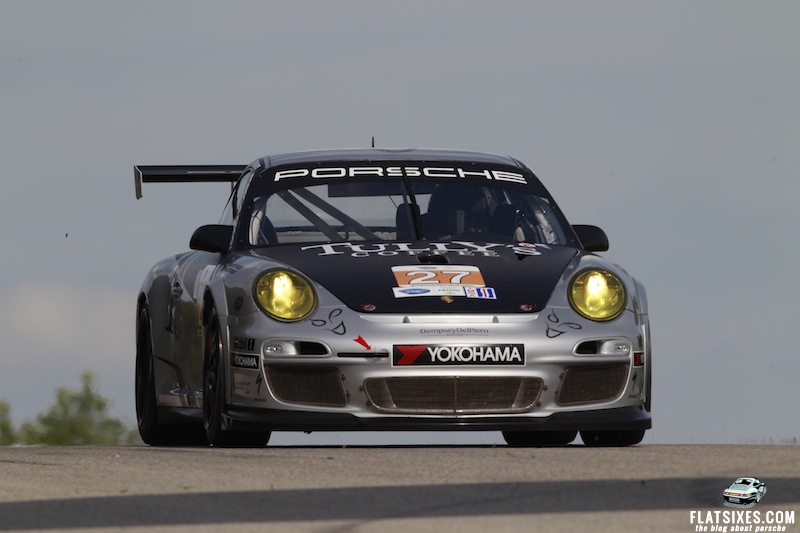 Even though he has won at tracks all over the country, this was Pumpelly’s first victory at Road America. "Today was just a fantastic day. The conditions started out really treacherous and Nelson did just an awesome job taking the car to the lead. When everyone cycled through the final pit stops it all came down to the Alex Job car and me. All I can say is I got very lucky in traffic and was able to get a little bit of a gap. The guys gave me a fantastic car. 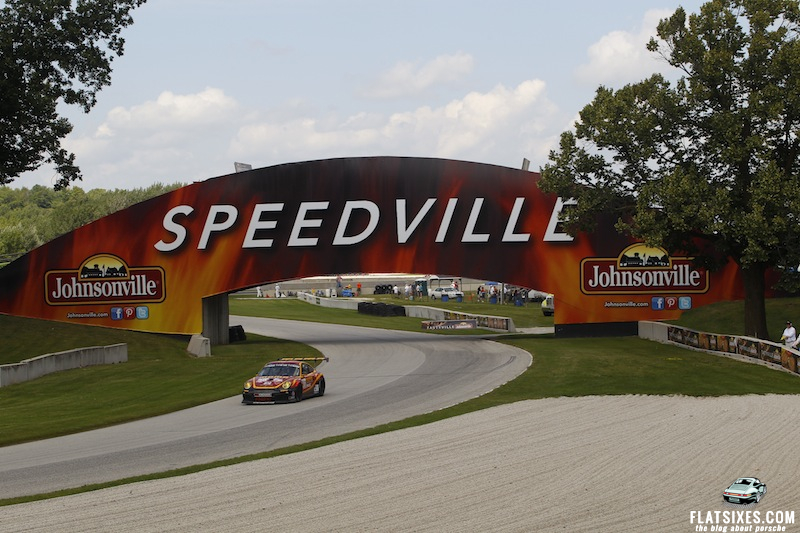 This is my first win here and I couldn't be happier," said Pumpelly. Bleekemolen would have liked to win the race in the Alex Job car, but was able to set fast lap of the race for the crew. "It was a very exciting race," Bleekemolen said. 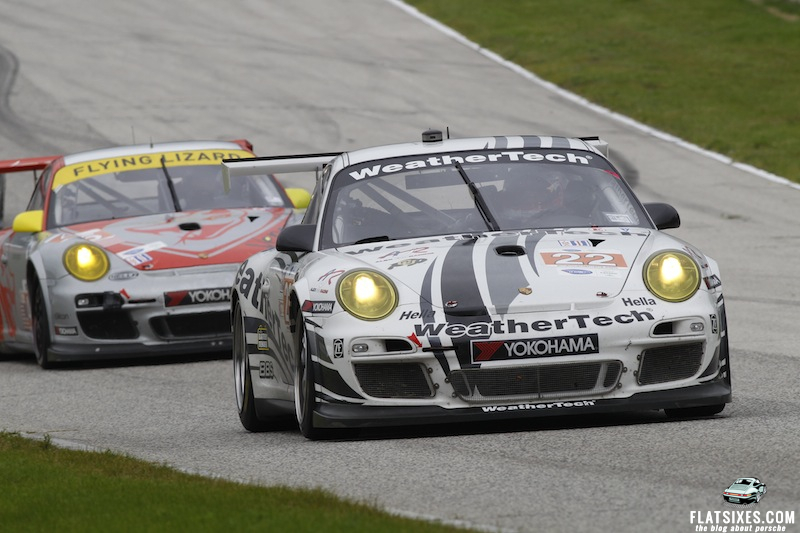 "I was able to have a good battle all race with four cars right up until the end. I had the oldest tires of the group, but was still able to hang on for second. Three or four cars could have won the race. The Lizard car was fast, but I was able to put in the fastest lap and we were right there to the end. It was a good day. The team bounced back from a tough week of practice and qualifying to get the car right for the race, so good work by the Alex Job guys today." Actor Patrick Dempsey (Malibu, Calif.), who had a full work week on the set of the “Gray’s Anatomy” TV show and didn’t get as much practice time as he would have hoped, was pleased with the team effort, but was hoping for a better result. 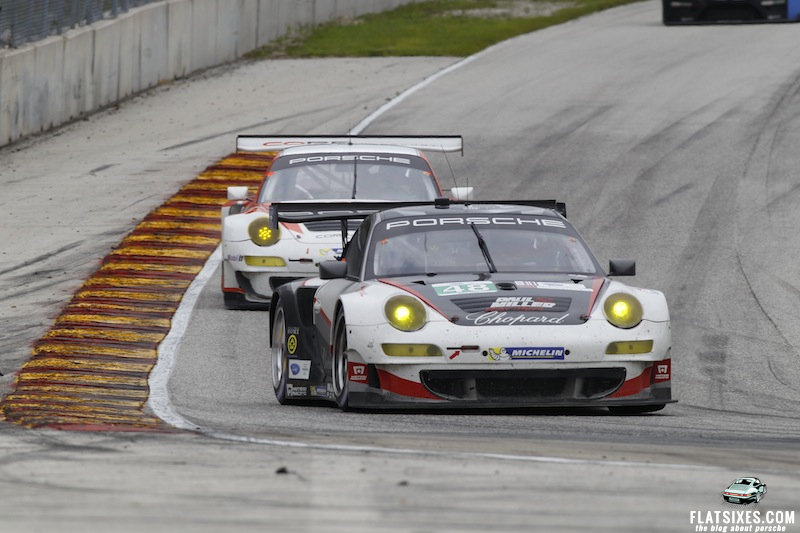 “We were in a position again to get on the podium and Andy drove a great stint. We just didn’t have it over the other cars, but the fact that we were in the hunt at today’s race just shows you how competitive this series is, and how close this class is. Considering the amount of seat time I had, maybe an hour combined, and after being off for a couple of weeks, I think it was a pretty good success. It hampered my pace a little bit but I did pretty well considering the conditions. At the end of the day, an OK result but we just want to get back on the podium,” said Dempsey. 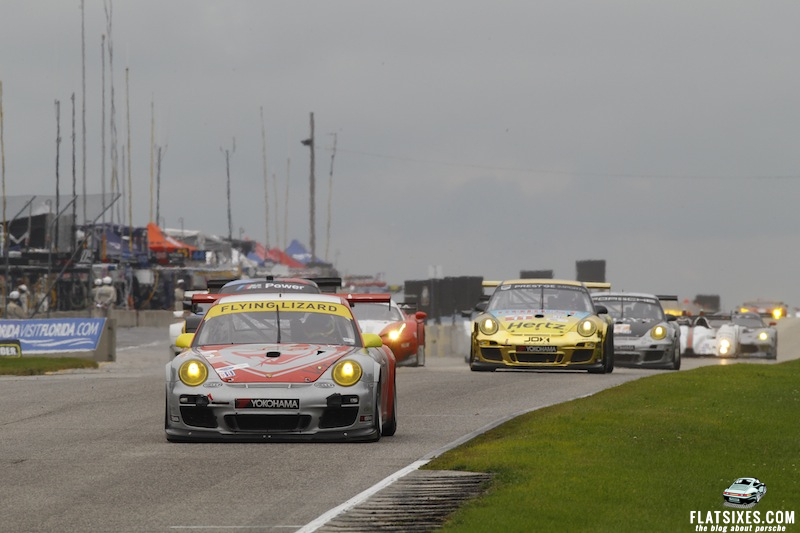 The American Le Mans Series moves to the street of Baltimore on August 31 for the Grand Prix of Baltimore. Listening to a Porsche Panamera S Hybrid Drive Silently By is Quite Eerie. What about the Cayman in GX???? Great Pictures. Thanks for making them so much easier to view! Some phenomenal shots as well. Thank you.